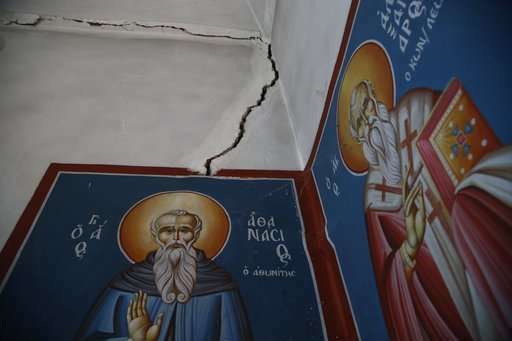 If earthquakes struck in slow motion, the results might be visible in a place like the Greek village of Anargyri, a hardscrabble enclave in a black landscape gutted by coal mining. 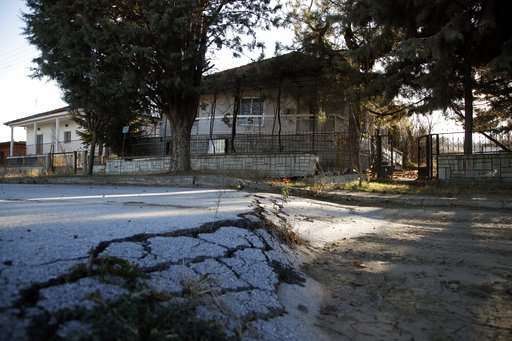 The village in northern Greece once had more than 400 people. Now it has fewer than 50, after being torn apart over decades. 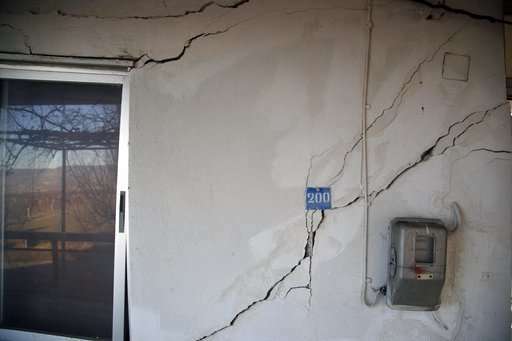 Its roads are slowly buckling, its door frames have shifted, its walls and home foundations have cracked beyond repair. Residents are leaving not in panic but out of desperation. 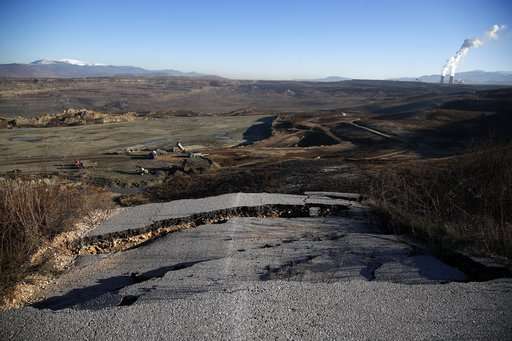 One after another, the tiny villages in Greece's lignite belt have been destroyed by mining as the ground becomes too unsteady to hold homes upright. Bells at one church in the area are not rung regularly for fear of causing more cracks in the walls. 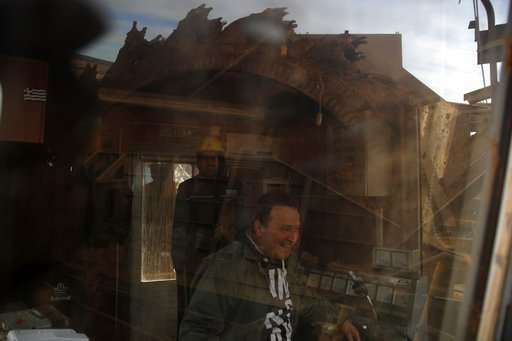 Cattle farmer Michalis Bitas first noticed the damage to homes in Anargyri in 1986. "That's when mining started locally. 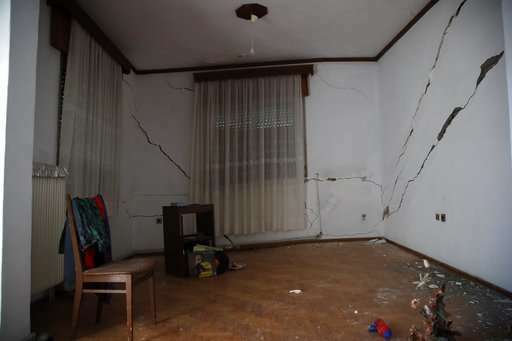 It slowly began to eat up the houses before it went on to eat us up too," he said. Bitas is from one of the few dozen households in the village who have refused a power company's offer to move them to a rented apartment in a nearby town. These villagers are demanding full compensation for their homes—a right only granted by law if mining occurs directly below a settlement. "I have sheep and machinery. What am I supposed to do? Move them into an apartment?" Bitas said. 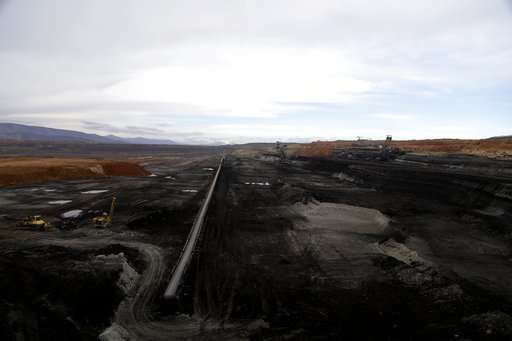 Heavy-duty coal excavators and vehicles on the horizon near the village look like toy trucks, dwarfed by the scale of the blackened mining fields. Greek is still hooked on coal, despite warnings about the dire consequences of global warming issued both by a new scientific report and experts at the recent U.N. climate talks in Poland and despite ambitious European Union-wide targets to replace coal use with renewable energy. 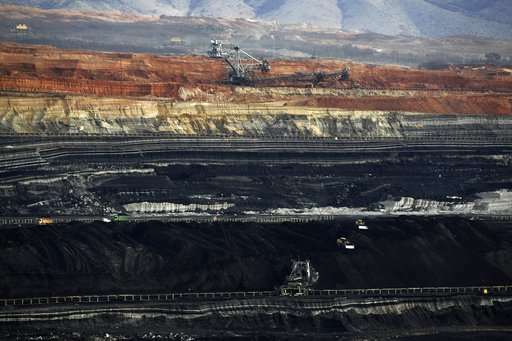 Greece is currently the world's 12th largest producer of lignite—known as brown coal—mining 36 million tons annually, according to U.S. federal government energy data. 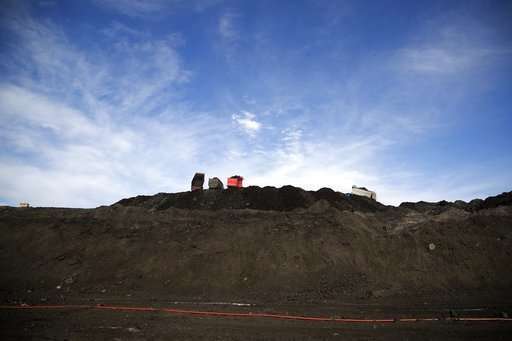 Lignite is a low-grade coal that throws off higher carbon dioxide emissions than black coal. 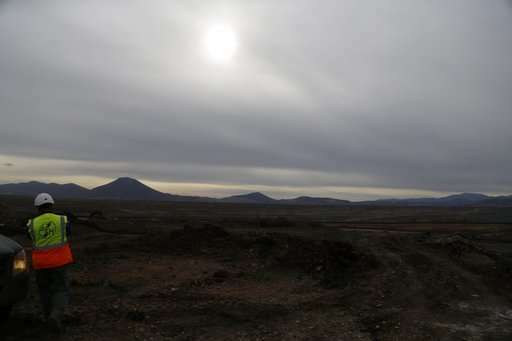 It is often burned near where it is mined since its low energy density makes it too expensive to transport very far. Nearly a third of Greece's electricity is produced by coal-fired plants and the country has no phase-out plan to stop using domestically produced coal, unlike most parts of Western Europe. Despite abundant wind and sun, only around 15 percent of Greece's energy is produced by renewable sources. Most of its reduction in coal use in recent years has been offset by an increased use of imported natural gas. 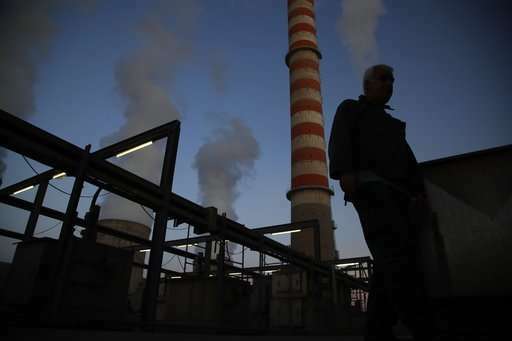 Under measures hammered out with Greece's bailout creditors, the state-controlled power company, PPC, will privatize three coal-fired electricity plants, prolonging their life. Also, contrary to many of its EU neighbors, Greece is on course to expand its dependence on oil and gas as the nation tries to attract overseas investment to counter a financial crisis that lasted nearly a decade. 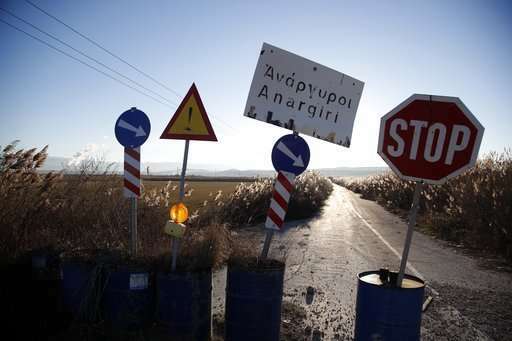 The Greek government has embarked on a major exploration drive for oil and gas off its western and southern coasts. The oil and gas ventures have alarmed environmental groups, which have issued an urgent plea to the Greek government to reverse its course and switch investments to the renewable sources like solar and wind power. 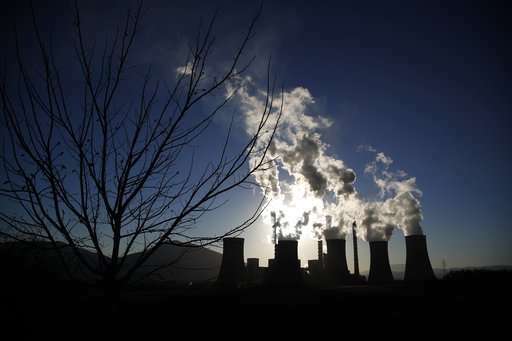 "We must act directly to reduce greenhouse gas emissions, but our country is moving in the opposite direction," a letter addressed to Prime Minister Alexis Tsipras said. It was signed by 34 environmental and human rights groups, including Greenpeace, the World Wide Fund for Nature, Amnesty International and Doctors Without Borders. Greece is planning to invest "in fossil fuels for decades, along with worrying delivery of hundreds of thousands of square kilometers, on and offshore, for hydrocarbon extraction," the letter said. "This would surrender the country to the nightmare consequences of climate change." 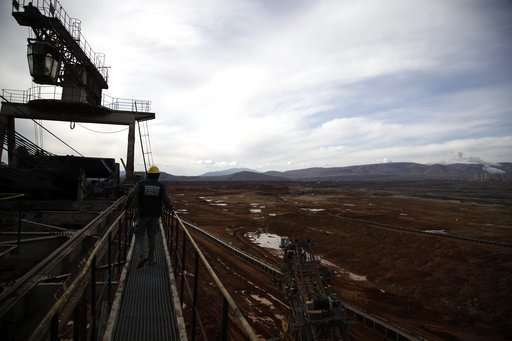 In Anargyri, despite the destruction of their homes, residents have mixed feelings about coal, since PPC is a key employer that provides 5,000 local jobs. 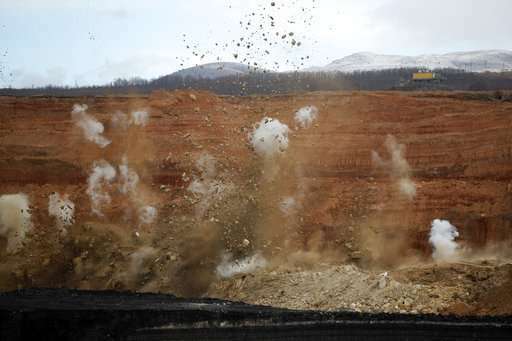 The other attraction is that lignite, mined domestically, is not vulnerable to financial market swings or geopolitical shocks, unlike imported oil and gas, which in Greece mostly comes from Russia. 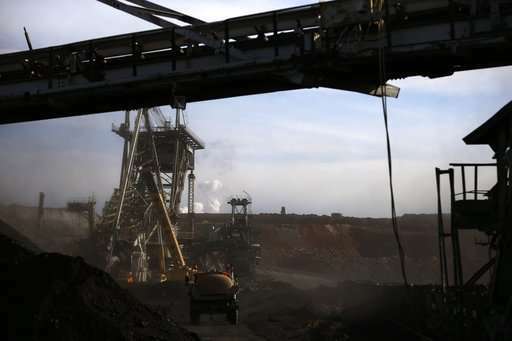 "Clearly, lignite activity will be reduced and will be replaced by other sources of energy, renewable sources of energy," PPC executive Konstantinos Theodoridis told The Associated Press. 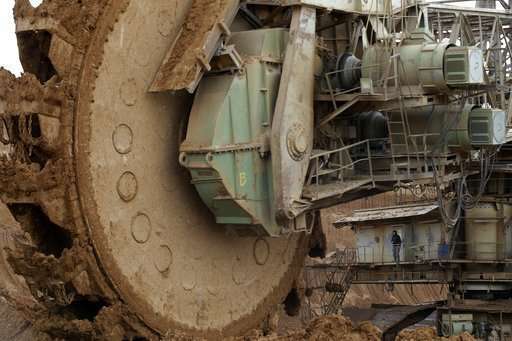 "But lignite will continue to be a strategic fuel that, in any geopolitical instability, is the only energy-producing fuel that is absolutely controlled by our country," he said.